72% think instead of MKs, citizens should select president; 63% don't want presidential institution cancelled. Most Israelis think that instead of MKs, the public should be allowed to select the President of Israel, according to a Yisrael Hayom survey published Friday morning. Based on the results, 72% of the public thinks Israeli citizens should have direct elections to decide on the president, with only 8% saying MKs should continue choosing the president. The survey also found that 63% of the public supports preserving the institution of the presidency, in response to a new bill proposed last week by MK Zevulun Kalfa (Jewish Home) that would cancel the presidency. Kalfa argued that the presidential functions are largely ceremonial and symbolic, and can be performed by existing governmental authorities. During a seven year term, the president signs every law and international treaty, but does not wield actual executive power. The presidential institution cost the state a whopping 62 million shekels ($17.6 million) in 2012, a figure 3 times higher than a decade earlier. There has been talk over who will be the next president when current President Shimon Peres's term ends this summer, assuming the position isn't canceled before then. 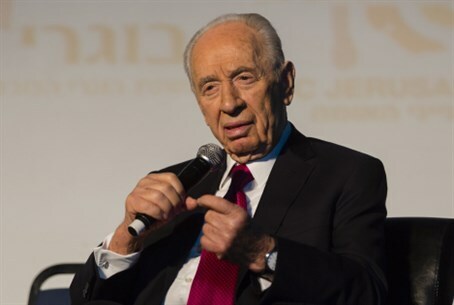 One poll in early January found Peres was favored for another term, while a poll in later January put MK Reuven Rivlin (Likud Beytenu) on top. Another top contender for the post is MK Binyamin Ben-Eliezer (Labor). Dalia Dorner, president of the Israeli Press Council and retired Supreme Court Justice, announced Thursday she would be running for president as well, and argued for her candidacy on the grounds of gender. "The fact that there is a female candidate gives a boost to women, and therefore I decided to give an affirmative answer," stated Dorner. In January another surprise candidacy bid was announced, this time by Israeli Professor Dan Shechtman, who won the 2011 Nobel Prize in Chemistry. The current president, Peres, has used his position to say Jews shouldn't fear living under the Palestinian Authority (PA), and that PA recognition of Israel as a Jewish state is "unnecessary." He has also griped publicly about proposals to annex the Jordan Valley.